If you have read any health magazines you are probably already eating avocado. Well, have you ever thought about potting up that big seed and seeing what will grow? Many of us had the experience of trying to grow a avocado seed in school, where you poked holes in the sides of the seed with tooth picks and suspended the seed above a glass of water. Yep, remember that? Anyway, here are a few updated tips that will help you grow a real plant that you can pot up and keep. 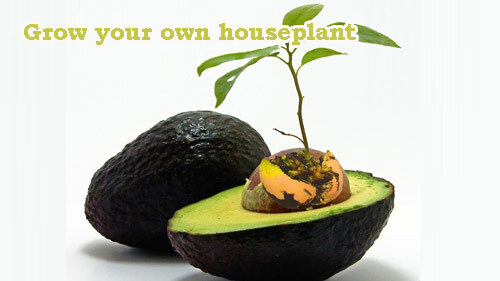 First if you think that once you pot the seed and grow the plant you will be harvesting avocados that isn't going to happen. Even if you get fruit it won't be quality fruit. But, you can grow a healthy FREE houseplant that is lovely. 1. Remove the seed from a ripe avocado. Don't hit the seed with a knife but pull it out gently with your hand. Clean under warm water. Wrap seed in damp paper towel. Place in plastic food bag (not zipper) and store in a dark cupboard. Check every 4 days or so for germination. Ensure the towel stays damp. 2. 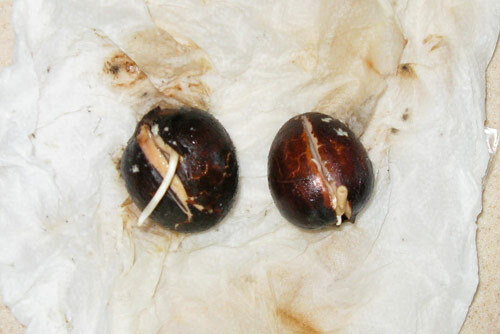 When the seed germinates it will gradually crack open and a root will grow from deep inside the seed. Don't break open the seed. Just leave it alone. When the root reaches 3" long it is ready to pot up. 3. Start with a 8" flowerpot that has drain holes. 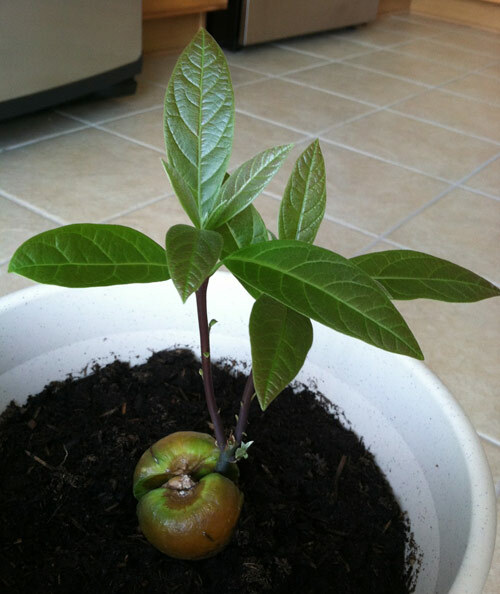 Avocado plants like good drainage so use a new potting mix with perlite or sand to help out. Plant the seed with the bottom and roots aiming down into the pot. The bottom is the flat broader end. 4. Fill the pot halfway with potting meet and place the seed. Add more soil till the top inch of the seed is above level. Water until moist not damp and add more potting soil to the garden planter as needed. Place in a warm, draft free location with indirect sunlight. 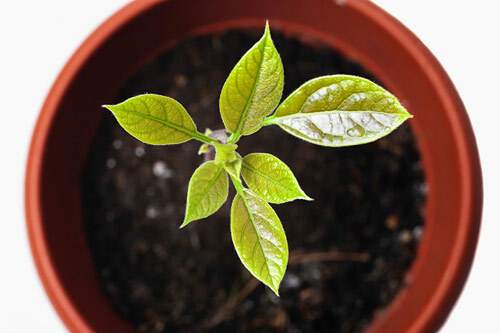 Tips: Avocados are tropical plants so they like warm, growing conditions and can NOT dry out. Use consistent watering and mist if necessary. Fertilize ever 3 months. That is it. No toothpicks involved. [Read More] Tips to improve your indoor potting skills. 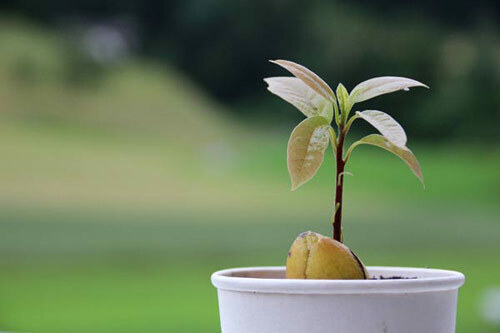 grow avocado, avocado seed into houseplant, potted avocado seed, pot a avocado seed into houseplant.